Conference Guests can make the most of their busy schedule by staying on campus. 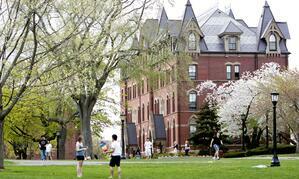 We are also able to provide housing accommodations for any visiting scholars hosted by Tufts this summer. Our upgraded living spaces are convenient and comfortable, with a variety of room types to suit every need. Looking to see what accommodations we have to offer? Click one of the following buttons below to find out! Stay at Tufts during your summer internship! We have been housing undergraduates and graduate interns and researchers for over 25 years for both on- and off-campus internships and assignments.